During the Victorian era, when the British crown ruled India, that country's royalty traveled in oppulent carriages or "howdahs" (below) on the backs of elephants. 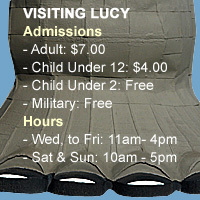 Lucy is modeled after one of those living vehicles. 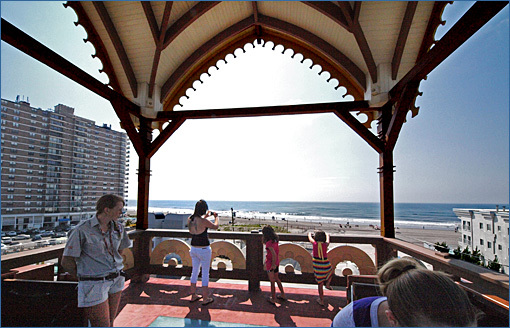 Perched six stories above the ground, her howdah commands an sweeping view of Margate's beach (above) just a short distance south of Atlantic City. 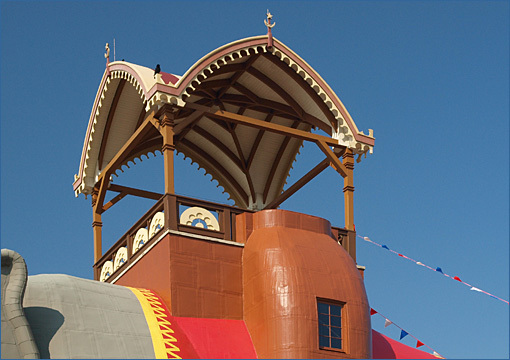 The howdah is surprisingly spacious (below) and looks out in all directions on downtown, beachfront Margate. A thick plate of glass makes up the middle of the howdah's floor and serves as a skylight illuminating Lucy's interior room.